This product is 24 task cards with multiple meaning words. Students use context clues and make a choice between meanings of the words being used. 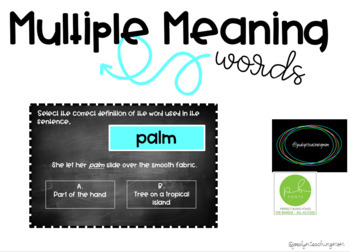 It helps with context clues, multiple meaning words, and a little fluency.